The alarm rings and you get out of bed. Before doing anything else, you go into the kitchen to make a pot of coffee. Before getting dressed for the day, you sit down in your favourite chair, turn on the radio, and read about last night’s presidential debate. Interrupting your reading is a well-known sound, telling you that you have an e-mail concerning today’s meeting. You decide it is a sign for you to start your day, but first you want to confirm your date is still on for tonight, so you know what to wear. This short description illustrates just how online our everyday activities can be. You do not even need to leave your home to work, study, shop or socialize. Everyday life is moving towards the world of cyberspace with increasing online innovation and digitalisation. This does not only change the lives of adults. The youngest generations are today born into a world where an online presence has become normative. Increasingly, children learn, play and socialize through these tools (Livingstone & Das 1). Children today thus need to explore and learn about the world of internet, concurrently with exploring the world they live in. Although these worlds are not disconnected, they do generate different risks and opportunities. The risks and opportunities correspondingly modify along with the experience and age of the user, which expectedly is linked to the changing in interests. For first time users, internet and the online world can however seem like a big scary jungle, with endless opportunities, but where the dangers and risks are luring in-between the threes. First time users might therefore need a friend to help explore and guide you to the opportunities of the internet, and simultaneously make you aware of the risks that follows this jungle. The overall topic of this project is “children and media”, it is overarching New Media Studies and Educational Studies. Within this framework the project employs aspects of nudging, privacy and control. Sonia Livingstone is a professor who has researched youth in today’s digital age. She remarks that the online world needs to be distinguished by their “risks and opportunities” for children (and Haddon et al 16). Risks for younger children exist in overusing technology. When the internet is used for learning children are less likely to encounter risks than when playing games or chatting online. Some examples of what can happen to older children (teenagers) when overusing internet are: “academic failure, difficulty in completing class assignments, lack of attentiveness in class, sleep deprivation, and depression. (Douglas, et al., 2008)” (18). At the same time there also a lot of advantages of using the internet: “fosters a sense of belonging and wellbeing, and boosts their self-esteem — and it also offers opportunities for them to improve their offline social life” (26). So parents should be aware of the risks, but not be too conservative when it comes to using internet. Moreover, new media play an important role in today’s society and this role will very likely increase even more. So it is best to let children use new media and let them discover the online world, as they will need it in their future lives. To conclude: children should have a moderate, regulated use of new media. The use of digital tools should not replace “real life” but be a supplement for it, and the conservative statement that children should not use new media (too much) is condemnable. Also, Livingstone incorporates the role of parents into her conceptualization of children’s use of new media. Apps or extensions for children should take the role of parents (as supervisors) in consideration. This project believes in letting children explore the web freely, with some parental control that younger children still need (Lee 469). This project focuses on children aged 7-10. Most products for children are divided into these groups: 0-6, 7-10 and 10+. Seven is also the age children begin going to school and learning skills such as reading and writing. Livingstone (12) argues that seven “is the average age for first [individual] internet use” in many countries. It is also an age when children have a great desire to explore the world in their surrounding and in which social relations gain a new momentum. We therefore chose to create a browser extension, as our project objective. The extension has two main functions to fulfil: creating opportunities and diminishing risks. In the form of a character, these functions will be achieved, because children listen better to a personalized “thing” than to parents or teachers (Sillitoe and Wainwright). This project is based on both empirical and literature studies, as research on children and media is foremost empirically done. Surfer.safe is a browser extension that helps children explore the web, increases opportunities and reduces risks. 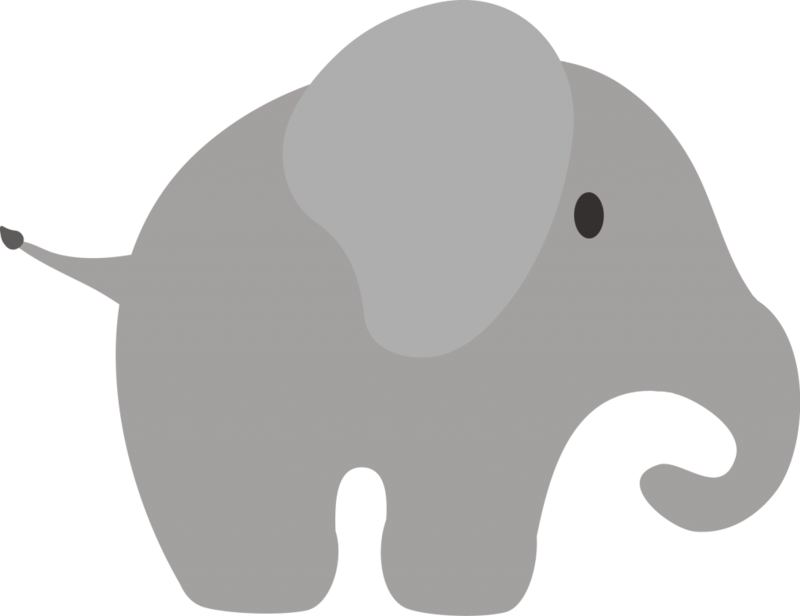 The extension introduces Elli the elephant as the online friend that helps children explore. The name surfer.safe is chosen, because most parents want online safety for their children (Livingtone et al 34). Since parents will be the ones downloading the extension, it has to foremost appeal to them and then to children. 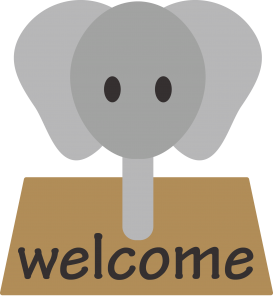 Surfer.safe is represented by Elli the elephant. Elli is the online friend for children representing intelligence, geniality, and reliability. Elephants are known for their outstanding intelligence and live in herds where everyone takes good care of one another and their youngsters (worldwildelife.org). Elli is a virtual friend of both parents and children. Surfer.safe offers several functions to help children and parents make children’s surfing experience a great one. The exploring of the web happens with the help of Elli. Elli is an elephant living in the jungle that is called the internet. This jungle is a place full of wonderful aspects to discover, but there also lie some dangers. Elli’s different functions are to help children do their own exploring and to guide them through this jungle – the online world. Elli is always in the corner of the browser surfing with the children. When children want to see some options or suggestions during the browsing, they can click on surfing Elli and see some suggestions. If Elli detects inactivity or notices that one website has been opened for quite some time (over an hour), s/he will pop up asking: “Still surfing?”. This function is to gently nudge children to do other activities, when they are for example playing a game for too long. Surfer.safe believes children sometimes need to be reminded they have been doing the same activity for a while. Instead of warning them or telling them the amount of time that has passed, this extension chooses to do it in more a gentle way. Perhaps some parents will want to manage children’s online time, this is also an option. The stopwatch function can be used to regulate the maximum amount of time children are allowed to spend online. 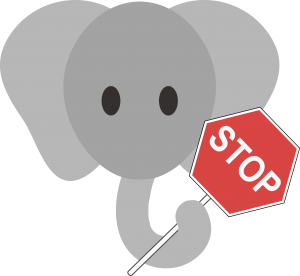 If their online time is over, Elli will show up holding a stop sign. Even though surfer.safe’s goal is to create opportunities for children, there is also a blocking function that protects them from seeing content that is inappropriate for younger children. Children aged 7-10 are less likely to encounter sexual content than older children (Livingstone et al 28), but a blocking function is still useful. Elli will prevent children from entering unseemly websites by holding up a “turn back” sign. Furthermore inappropriate advertisements will be blocked as well. Lastly, the extension can be put it in sleep mode, for when parents want to use the browser without Elli intervening. This mode can only be turned on with a password, so children cannot use this function. When the browser is not used for some time, the extension will automatically turn on again, so children do not accidentally surf without Elli. And s/he will always be awake when the browser is start up. Surfer.safe is the browser extension that arose after a long journey. With the help of Elli children will be able to safely explore and discover the internet jungle. It creates opportunities for children, while being a friend for both parents and children. Bollier, David, and Charles M. Firestone. The promise and peril of big data. Washington, DC: Aspen Institute, Communications and Society Program, 2010. Chaudron, Stéphane. “Young children (0-8) and digital technology.” A qualitative exploratory study across seven countries. Joint Research Centre. European Commission (2015). Child Trends Data Bank. “Home computer access and Internet use: indicators on children and use.” Retrieved January 15 (2013): 2015. Garaizar, Pablo, O. Peña, and Jon Ander Romero. “Swiping fingers on a screen is not enough! Dusting off toy blocks to build new gaming experiences through mobile apps.” Global Engineering Education Conference (EDUCON), 2013 IEEE. IEEE, 2013. Lee, Sook-Jung. “Parental restrictive mediation of children’s internet use: Effective for what and for whom?.” New Media & Society June 2013, vol. 15: 466-81. Livingstone, Sonia, Jasmina Byrne, and Monica Bulger. Researching children’s rights globally in the digital age. Report of a seminar held on 12-14 February 2015 London School of Economics and Political Science: 2015. Livingstone, Sonia, Leslie Haddon, Anke Görzig, and Kjartan Ólafsson. EU Kids Online: final report 2011. EU Kids Online, Deliverable D8.3. EU Kids Online Network, London, UK. Livingstone, Sonia, and Monica Bulger. “A global research agenda for children’s rights in the digital age.” Journal of Children and Media 8.4 (2014): 317-35. Livingstone, Sonia, and Ranjana Das. “Existential field 8: Media, communication and information technologies in the European family.” (2010). Phyfer, Joanne, and Patrick Burton. “Online risks balanced by opportunities.” Mail & Guardian. 6 to 12 June 2014, 42. Van Eijk, N., et al. “Online tracking: Questioning the power of informed consent.” info 14.5 (2012): 57-73. Asian elephant. 2016. World Wildlife Fund. 19 October 2016. <http://www.worldwildlife.org/species/asian-elephant>. Sillitoe, David, and Oliver Wainwright. “Meet Zeno, the robot that could replace teachers.” The Guardian. 20 May 2015. 19 October 2016. <https://www.theguardian.com/artanddesign/video/2015/may/20/zeno-robot-teacher-video>.